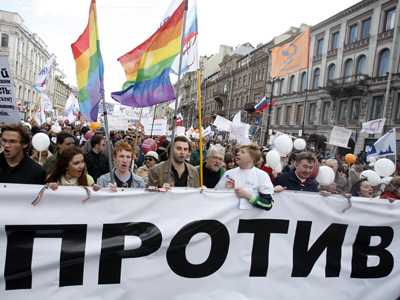 After years of direct banning or quiet blocking with red tape, LGBT activists managed to cheat Moscow city authorities and hold their first ever gay pride parade, media reports. 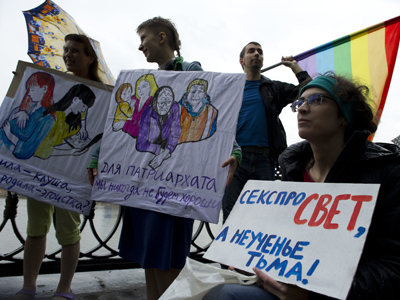 About 70 people marched on one of Moscow quays under rainbow banners and then held a two-hour rally calling for freedom of assembly and organization for sexual minorities. 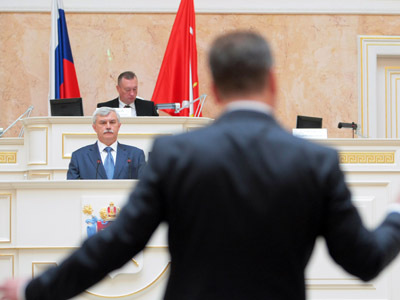 According to Kommersant daily, the official name of the event was “March of the Burning Hearts” and the organizers initially applied for a permit to hold a rally against all types of discrimination. The paper also claims that the license was issued because the clerks from the Mayor’s office did not perceive the real intention of the activists. Organizers of the rally claimed they chose the name for the action in reply to the recent statement of one Russian TV anchor, who said on air that gay people should not be allowed to become organ donors and that their hearts should be burned, not transplanted to those who need them. Besides, the name is an allusion to a story about self-sacrifice by writer Maksim Gorky that was once in the Russian school program. The activists said that the hearts of their enemies were burning with hatred and fear while the hearts of their allies were burning with wrath and indignation. Eyewitnesses noted that the rally participants carried some controversial posters such as “Sodom is our home” along with more traditional “You cannot stop the propaganda of equality”. Police did not obstruct the march. On the contrary, law enforcers dispersed a small picket of alleged nationalists who were standing on the planned route of the rally and probably planned some aggressive actions. About 10 people were detained in the process. After the rally was over, police offered the LGBT activists a lift in police vans to the nearest subway station. The offer was refused. 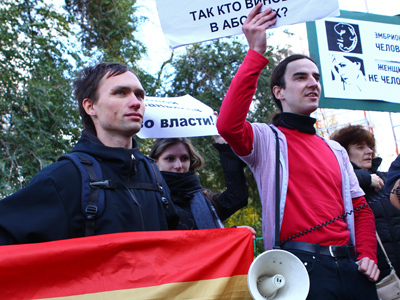 In 2012 Russia has started an active campaign against gay propaganda – a special law was approved and signed into force in St. Petersburg, prompting a group of parliamentarians to suggest approving a similar law on a nationwide scale. Two people have already been brought to justice in St. Petersburg for displaying a poster reading “being gay is normal” in the street near a kindergarten.